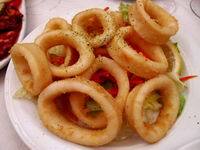 Try tapas in Madrid the way the Madrileños do! This is a walking tour for those who love exploring old, historic Madrid at night, visiting undiscovered restaurants and tapas bars, indulging in the real Spanish gourmet food & wines, and meeting like-minded people. 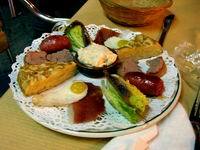 This Tapas Walking Tour is the result of the hard work of a group of Spanish cuisine lovers to comprise in one event the most representative tapas and foods of the country, in the unbeatable setting of historical, Old Madrid. The tour is organized for small groups (the average maximum group size is 6 people), and allows you to leave the typical tourist track and receive an introduction to the real Madrileño lifestyle with traditional Spanish food and drink. 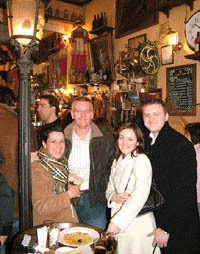 The tour visits four traditional bars or restaurants to try authentic Spanish delicacies such as chorizo in cider, octopus from Galicia, cider from Asturias, sherry from Andalusia and other regional specialities. 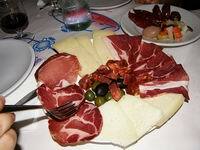 Food/Drink - typical Spanish wines, tapas, sherry and more! Duration - the tapas tours last 3-4 hours, although of course you are under no obligation to remain until the end if you should not wish to. Times - Monday to Saturday, starting at 8pm. First Tapas Stop - An authentic Asturias bar, popular with Spaniards of every age and description. A great place to start the evening trying their specialities of cabrales cheese (a typical blue cheese from Asturias), chorizo and cider. 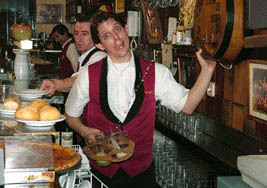 Spanish cider has hardly any gas and in this bar is poured in a very original way! Second Tapas Stop - A typical, very traditional 'fino' or Sherry bar. This establishment has changed very little in the last century with standing room at the bar or seating at wooden tables at the back. The bar is complete with authentic oak sherry casks. 'Fino' and 'Manzanilla' Sherries of various hues and tastes are served by the glass or from bottles filled directly from the kegs. Drinks come with complimentary olives or bread sticks. Third Tapas Stop - This intimate local bar gives you a real taste of Madrid, with bulls' heads on the wall set off by various football shirts, and sawdust on the floor where locals deposit their olive pips before a final clear up at the end of the night. On the bar there is a huge selection of 'tapitas' and 'pinchos' (similar to canapés). Beside the bar is a model ship full of prawns, which are usually provided as the complimentary tapa with your drinks. Fourth Tapas Stop - A very popular bar/restaurant serving wonderful 'tostadas' and great salads, meats, cheeses and tapas. This is a fantastic eatery with very good quality, no nonsense food and a great atmosphere with orders being shouted from waiter to waiter to bar to chef! Isn't your mouth watering already? You can sample these tasty tapas together with like-minded "tapas tourists" in small groups, 6 days a week, rain or shine, for just £35! To reserve your Tapas Tour, please Contact us with your requirements.